Douglas Allchin received his M.S. in Evolutionary Biology and Ph.D. in Conceptual Foundations of Science, both from the University of Chicago (1991). His extensive teaching experience ranges from high school biology (in Washington DC) and college biology (in El Paso), to bioethics (Cornell University), history of science (University of Minnesota) and a handful of innovative interdisciplinary courses along the way. Dr. Allchin pursues several lines of research. In philosophy of science, he is interested in disagreement and error in science -- and how they are resolved. In history of science, he has explored late phlogistonists, debates about cell energetics, and science in non-Western cultures. In education, he works extensively on integrating history and nature of science into science teaching. 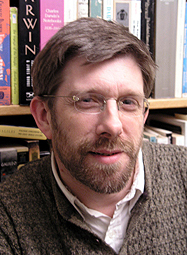 He is co-author of Doing Biology (1996) and edits the SHiPS Resource Center website.